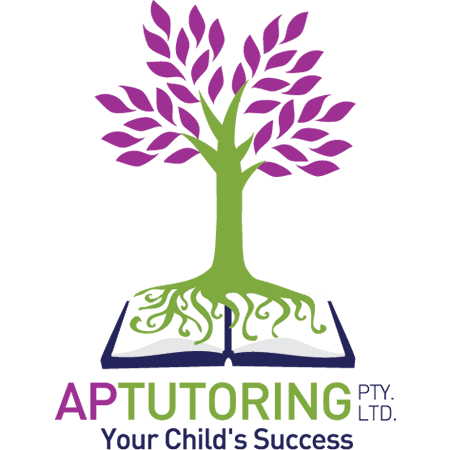 The “AP” in APTUTORING refers to the dedicated and passionate teacher Allison Payet, who noticed back in 2000 that many tuition services in Australia seemed to put the needs of the business ahead of the child. After many a poor experience working with tuition providers that seemed to put children onto a conveyor belt supervised by unqualified or inexperienced tutors, Allison decided to start providing more effective and professional tuition where the focus would always be on the learning needs and growth of the child. APTUTORING was then founded on the idea that high quality tuition must be provided by qualified teachers with academic experience and a good knowledge of educational pedagogy. What sets us apart from the competition is that we prioritise a student’s need to be taught by an actual teacher who specialises in the required subject area, so that no child’s educational future is in the hands of unqualified tutors. Our focus on the needs of the student is enhanced by the fact that we are a family run business, and we view our students and tutors as part of our extended family. Many of our tutors remain with us long term, and this enables students to work with one tutor consistently for many years. This enduring working relationship helps build a strong rapport that makes the tutor part of your family too! It also ensures that your child is guided and supported throughout their schooling by an educational professional who knows them and their learning style inside out, regardless of how many teacher changes students may experience at school. And if you do have to change your tutor at any point, we have excellent hand over processes to ensure continuity of care. Over the past fifteen years, APTUTORING has added many new but equally qualified teachers, and expanded into other areas of Australia. We have grown through word of mouth and personal recommendations based on the high quality tuition services that we provide, and we take pride in the number of students who have achieved academic or personal learning success with our assistance. It’s all in our motto: Your Child’s Success. APTUTORING believes that all students deserve access to high quality supportive tuition from passionate and committed educational professionals. We strongly believe that tuition can make a significant difference in helping students develop skills, increase their subject area knowledge, and reach their academic potential, and that we have the tutors and programs that are best placed to help your child. APTUTORING is committed to helping every student reach his or her educational potential through a supportive and holistic approach to tuition. We take our responsibility to assist your child very seriously, and this has helped us to provide a well-regarded and effective educational service to the community for many years. We are also sure that we can meet the needs of every student with at least one of our three programs, as we cover educational assessments, homework help, curriculum support, individualised curriculum programs, foundational numeracy and literacy skills support, coaching, scholarship preparation for select entry tests, and skill specific assistance. We are also able to tailor tuition to meet any other student need as part of our Individual Tuition program. All of our tutors are qualified and experienced teachers with VIT Registration/NSW Teacher Accreditation/QCT Registration, and a current Police Check. Our tutors are also familiar with F-10 Curriculum/VCE/HSC/QCE, and engage in regular Professional Development. For more information about APTUTORING, please contact us today.